It’s officially the holiday season in the world of Skylands! 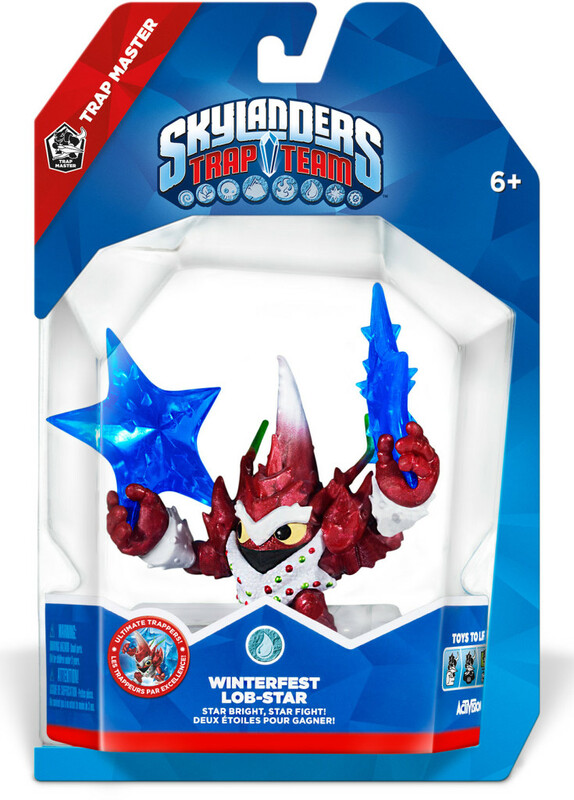 To celebrate, Activision Publishing, Inc., a wholly owned subsidiary of Activision Blizzard, Inc. (NASDAQ: ATVI), is spreading cheer by debuting a special holiday Skylanders® Trap Team character, Winterfest Lob-Star, on December 7 to Portal Masters in North America. 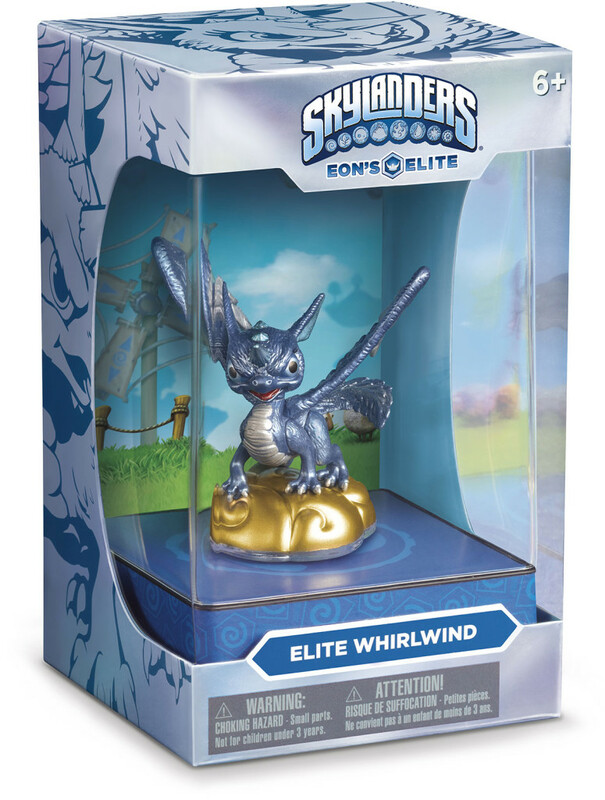 Also, Skylanders® players in North America can get their hands on the fourth Eon’s Elite character, Whirlwind, another fan-favorite character that made her debut in Skylanders® Spyro’s Adventure. 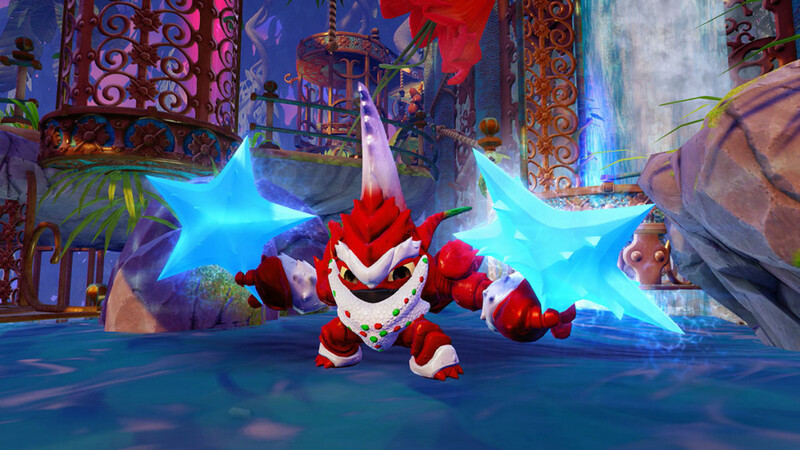 Winterfest Lob-Star and Eon’s Elite Whirlwind are examples of a variety of Skylanders-themed holiday offerings perfect for Skylanders fans looking for the best stocking stuffers this gift giving season. Construction Sets – Fans can look forward to Skylanders-themed construction sets from MEGA Brands, which let players build and battle in their favorite levels from the Skylandersfranchise. The all-new Cut Throat Carnival construction set will be available for a suggested retail price of $19.99 at Toys”R”Us, WalMart and Amazon. A-Z Box Set – The Skylanders A-Z box set from Penguin includes two never-before-published books: the full-color, 192-page A to Z of Skylands, and Pick Your Portal: The Trouble with Doubles. A sheet of stickers and a build-your-own Skylander paper model are also included. The Skylanders A-Z box set is available at retailers nationwide for a suggested retail price of $16.99. 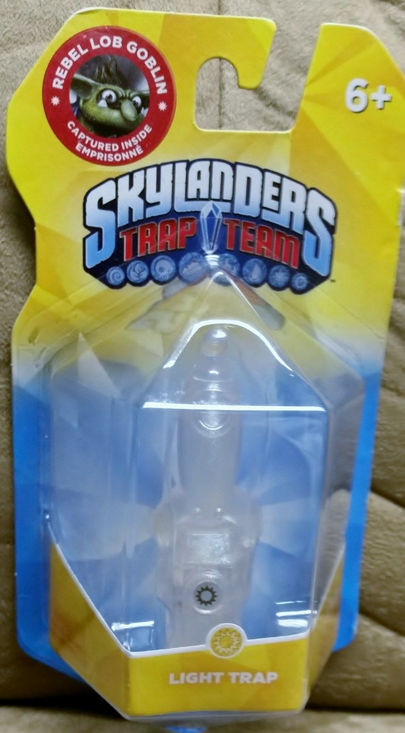 Skylanders Trap Team is playable with more than 175 unique toys from all previous games, and every character is able to defeat and trap villains using Traptanium™ Traps, providing fans more ways to enjoy their collections. The game is available on the following platforms: Nintendo’s Wii™ system and Nintendo’s Wii U™ system; a variety of iPads®, Kindle Fire and Android tablets; Xbox One and Xbox 360 games and entertainment systems from Microsoft; PlayStation® 3 and PlayStation® 4 computer entertainment systems from Sony; all for the suggested retail price of $74.99. A different adventure is also available on the Nintendo 3DS™ hand-held system for the suggested retail price of $64.99. The award-winning, $2 billion Skylanders videogame franchise debuted in 2011 with Skylanders® Spyro’s Adventure, which featured the Toys-to-LifeTM interactive figures, portal, and accessories and firmly established the play pattern that seamlessly bridges the physical and virtual worlds across multiple platforms. In October 2012, Skylanders® Giants expanded the gameplay experience with its mega-sized Giant Skylanders and LightCore® characters. Skylanders® SWAP Force™ launched in October 2013 and introduced an all-new play pattern – swapability. Skylanders was the top selling kids’ videogame franchise of 2013¹ worldwide and is now one of the top 20 videogame franchises of all time². Skylanders® Trap Team reverses the magic of its signature play experience — incredibly letting kids pull characters out of the digital world into the physical world. For more information, please visit: www.skylanders.com and Activision.com/presscenter. Cautionary Note Regarding Forward-looking Statements: Information in this press release that involves Activision Publishing’s expectations, plans, intentions or strategies regarding the future, including release dates for Winterfest Lob-Star and Eon’s Elite Whirlwind, and the Macy’sThanksgiving Day Parade, are forward-looking statements that are not facts and involve a number of risks and uncertainties. Factors that could cause Activision Publishing’s actual future results to differ materially from those expressed in the forward-looking statements set forth in this release include unanticipated product delays and other factors identified in the risk factors sections of Activision Blizzard’s most recent annual report on Form 10-K and any subsequent quarterly reports on Form 10-Q. The forward-looking statements in this release are based upon information available to Activision Publishing and Activision Blizzard as of the date of this release, and neither Activision Publishing nor Activision Blizzard assumes any obligation to update any such forward-looking statements. Forward-looking statements believed to be true when made may ultimately prove to be incorrect. These statements are not guarantees of the future performance of Activision Publishing or Activision Blizzard and are subject to risks, uncertainties and other factors, some of which are beyond its control and may cause actual results to differ materially from current expectations.